Posted By Nathan On July 17th 2015. Under Blog Tags: effective job search, effective job search techniques . 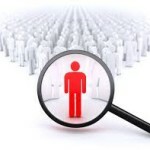 An effective job search is a job search which finds multiple credible job opportunities. There are many different search techniques, but the search technique that works for you is the one which always delivers worthwhile results. 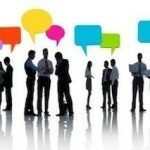 Networking – Networking is a way of getting information which isn’t in the job ads. You can learn a lot about a job, and an employer, with efficient networking. If you have reliable sources of information, your job search will be that much more efficient. Networking is also important in building ongoing business relationships. These relationships will lead to reliable sources of information for employment purposes and business opportunities. Remember that your network is a two way process. Create a network in which you are participant and a contributor and your network will improve your job hunting prospects proportionately. Top quality resume – You do need a current, fully updated and upgraded resume, preferably a good functional resume which can be easily adapted to a very broad range of jobs. 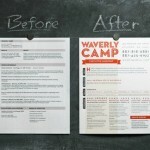 This type of resume can also be easily targeted to particular jobs. Focus clearly on matching your skills, achievements, performance indicators, and work history to essential job requirements. This is basic best practice resume writing technique, and will improve the success of your job applications. Refine your search techniques and be fussy about where you search for jobs – The mainstream job market is not necessarily the best place to look for a job. Best practice is to search within a specialist environment related to your type of work. The bottom line here is that you have only so much time available for job searching. The less of that time you waste, the better and more effective your job search will be. Try at least one new job search site or employer as often as you can. You’ll find that you soon build up a library of good job search options. Discard unproductive job search sites – Directly related to the point above, jobsites which do not deliver useful results aren’t helping your job hunting prospects. 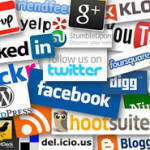 Reduce the amount of time you spend on these sites. Be fussy about the jobs for which you decide to apply – “Anything and everything” can’t be the best way to find a job. The jobs that really appeal to you are the ones you need to follow up. 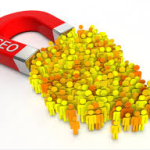 Try different search techniques, including using specific keyword search terms – This is basic SEO, but it is highly effective. If you’re an engineer, for example, you will be better off searching for a particular type of system than simply using the word “engineer”, which will generate far more results than you need. Remember that social media sites like LinkedIn are particularly useful job hunting sites – These sites have access to a very wide range of different job advertisers, and are therefore good hunting grounds for job seekers. If you’d like to know more about effective job search techniques and job hunting options, see this link. Images are taken from: reputation.com, wordpress.com, gstatic.com, i.gyazo.com.